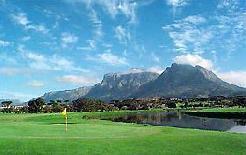 Westlake Golf Course lies against the amethyst slopes of the Silvermine mountains and is one of Cape Town's premier Golf Courses. 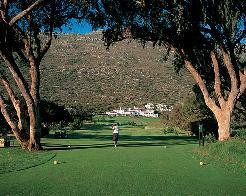 This easy to walk golf course is characterised by the towering trees, which line many of its fairways. 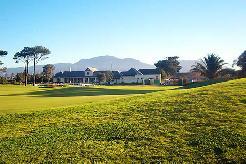 Westlake Golf Course has a very interesting, yet user-friendly design and quite a few doglegs. If you manage to stay out of the trees, you will achieve a good score. 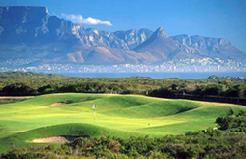 From the first to the eighteenth hole, every step affords panoramic views of the surrounding mountains. Established in 1932 and constantly improving year on year, Westlake Golf Club welcomes visitors with its special blend of old world charm and modern amenities in an atmosphere of conviviality and camaraderie. 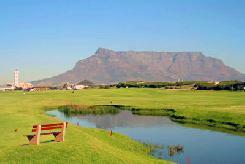 Whether you're a tourist enjoying a Cape holiday, or a local golfer, visit Westlake and see for yourself why Westlake is the Cape's most popular course. 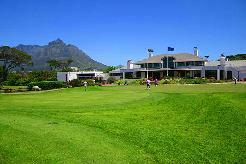 Ranked along with Clovely, Westlake Golf Course is a must-play when in Cape Town and we highly recommend that you have lunch at the club after your round - its the best value for money anywhere. A main characteristic of this course is the openness of its layout. The fairways are fairly wide and shortish and this, provided you stay out of trouble, makes for a potentially low scoring round. 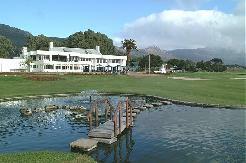 This user friendly design is a course that anyone can enjoy whatever their handicap. Accuracy off the tee will always be rewarded by a clear shot to the greens. The kikuyu fairways are boarded by shrubs and a variety of trees including the massive Pine and Blue Gum trees tower over golfers and fairways alike. Signature hole: The par-four 12th hole. The fairway is lined with huge pine trees that create a sharp dogleg left that almost jumps out at the player. The green is small and well guarded on the right, by a bunker and huge pine tree, with out of bounds on the left. Booking essential well ahead of time.